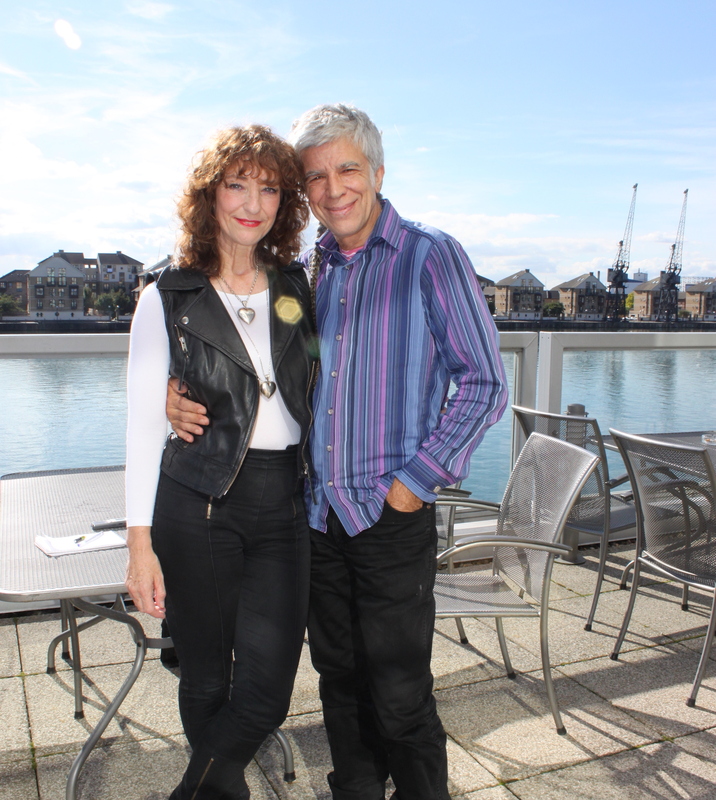 Though you may not know the name Tony Andrews, you have probably felt his presence. The England based audio engineer and all-around aural wizard has been experimenting with sound for almost 50 years, providing speakers for clubs like Output in New York and Space in Ibiza, venues like The Grand Ole Opry in Nashville, and festivals like Glastonbury in the UK. He is the sonic psychonaut responsible for the unmistakable Funktion-One sound system known for its balanced frequency response and crisp, pure sound. To those who have stood in the sonic portal emitted from a Funktion-One stack, Andrews is an audio deity. 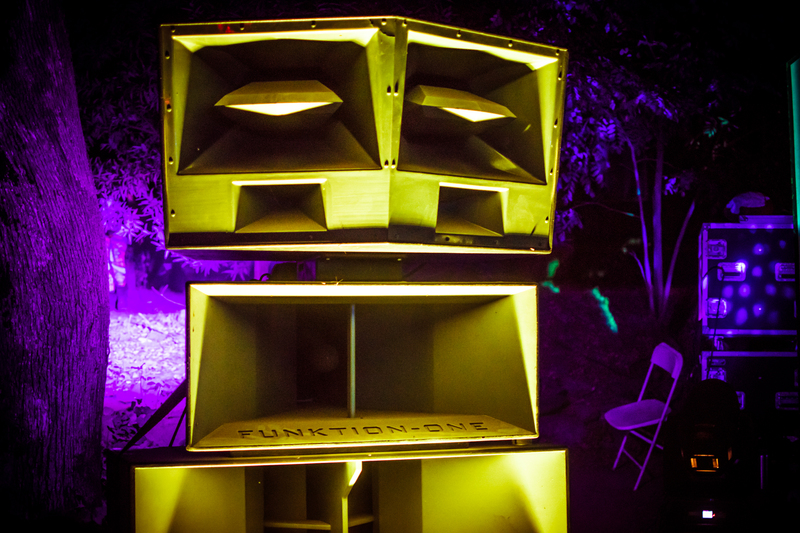 Funktion-One was established on Valentine’s Day in 1992 by a group of visionary audio pioneers that consisted of Ann Andrews, John Newsham, Yann Favret, Toby Hunt, and Andrews himself. In the music world, Andrews is an audio activist, forever striving to provide the best possible vessel from which music should be heard. Laser lights, art installations, projection mapping and workshops are integral to the music festival experience, but at the most fundamental level, a music festival without good sound is like an empty palace—a beautiful shell with no heartbeat inside. While it is easy to find yourself in a trance-like state, paying no mind to the speakers out of which your favorite artist is blaring, Andrews wants to raise the bar of sound quality and expectation. 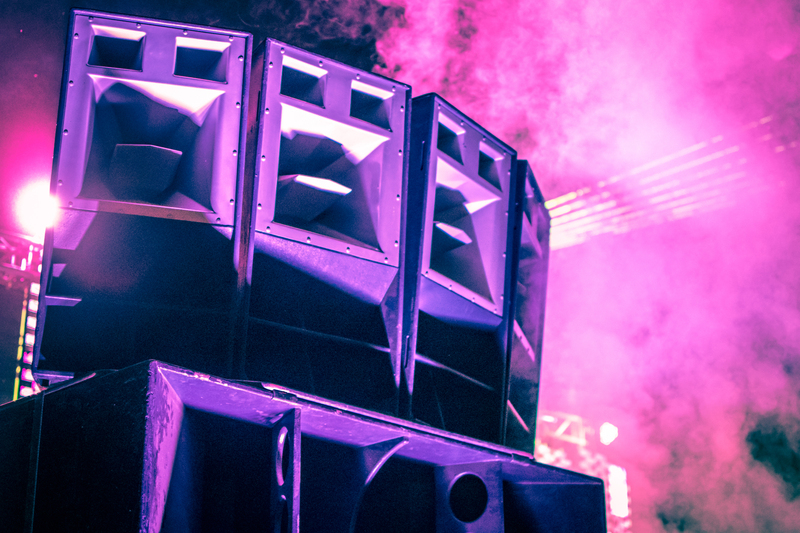 There are several festivals, however, that do make proper sound their priority and the decision to go with Funktion-One does not go unnoticed. Some festivals such as What The Festival in Oregon and Infrasound in Wisconsin even boast that they exclusively use Funktion-Ones as a way to boost sales while other events such as Envision Festival in Costa Rica, Fuji Rock in Japan, Creamfields in the UK and many more have also utilized the magic of Andrews’ creations. 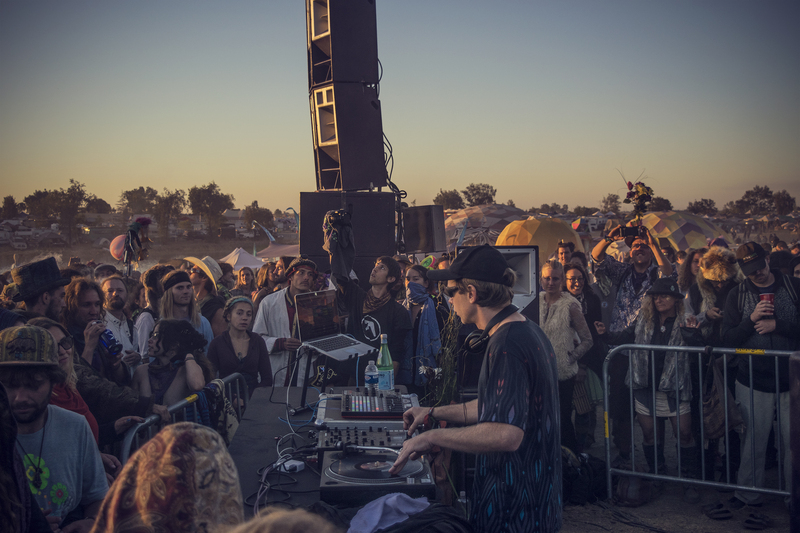 Certain artists are even Funktion fanatics—at Northern California’s Symbiosis Gathering in 2015, Tipper set up his own stacks of Funktion-Ones for a transcendent lakeside sunrise set. There he stood, playing upon his humble folding table between two leaning towers of Funktions. Funktion-One speakers have garnered a cult following of sound connoisseurs who, after hearing them, were not only enlightened by the clarity and balance of these speakers, but could never go back to standard sound again. It’s like eating Chef Boyardee your entire life then trying homemade ravioli for the first time—you didn’t know what you were missing because you’d never experienced it. Inspired by the naturally derived acoustics of wooden instruments, Funktion-One uses paper instead of metal to create a more organic stereo image. The difference is subtle but revolutionary, generating a sound so crisp that no drip, bloop or crunch goes unheard. Andrews’ infatuation with sound began at the age of nine when his mother played “Hound Dog” for him by Elvis Presley. His reaction was physiological as he experienced surges of electricity ascending his spine and instantly, the magic of music had cast its lifelong spell. This was his first audio moment and as he entered his formative teen years, he became engulfed by the psychedelic counter-culture and the music that came along with it. Artists such as Otis Redding, Led Zeppelin, Jimi Hendrix, Pink Floyd and Quicksilver Messenger Service bounced around in his mind, always leaving fragments behind that were slowly building up to his calling. 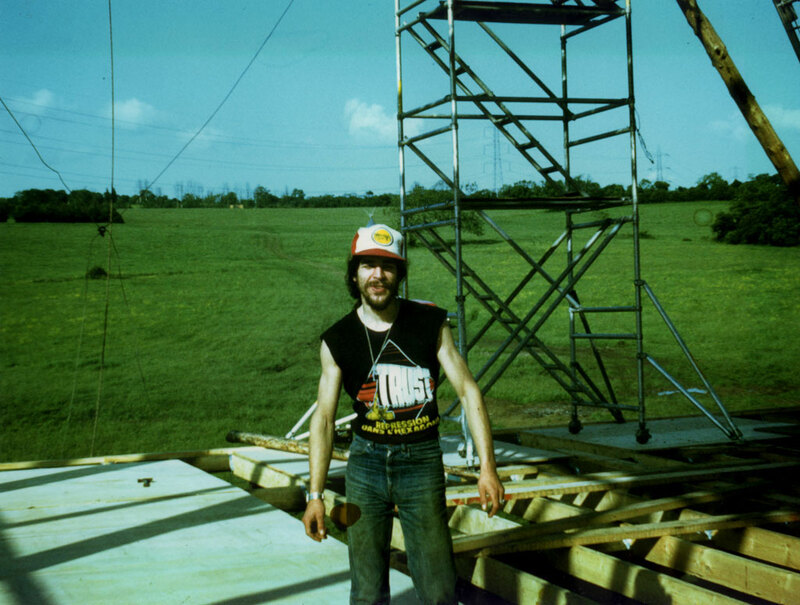 In 1967, around the age of 18, the sonic experiments began as Andrews purchased two Wharfedale super twelve speakers and built the cabinets himself out of ¾ inch chip board wood. This was the first step of his odyssey as a mind-expanding, speaker-building, unifying, sound engineer who would reinvent the audio world. Andrews is not just a sound engineer who mindlessly builds loud speakers, he is a psychonaut whose quest for pristine audio is fueled by his spirituality and mysticism. He believes that audio and consciousness are symbiotically connected which is reflected in the Funktion-One mission statement, “to build sound equipment of sufficient quality to allow the full realization of the communal mind space.” When fully engulfed in the reverie of an audio moment, according to Andrews, the mind goes silent as thought is replaced by viscous waves of sound. This concept is important not just for its meditative quality, but also for its communal quality. As sound has evolved, so has Andrews’ musical tastes. Though the classics will always remain at the foundation of his inspiration, he also admires artists such as Booka Shade and Dave Tipper as well as a recent foray into drum n’ bass. “At Glastonbury at the Glade stage I engineered and experienced Goldie and tracks off his new album,” Andrews describes. “It has to be one of the top five audio experiences I've ever had, especially as I'm not particularly a fan of drum n’ bass.” His open-mindedness to so many varying styles of music is a side effect of his complete and utter dedication to the art of sound in all of its forms. There is something remarkable about the appearance of Funktion-One speakers with their smooth and inviting silver interior and elegant geometric shapes. Their iconic design can be instantly recognized, even from the back of a vast festival crowd. Andrews has taken a technical trade and turned it into a higher art form that transcends function and passes into the realm of consciousness. He is not only a spokesperson for sophisticated sound quality, but also for how it can affect humanity for the greater good.